16" Blade. 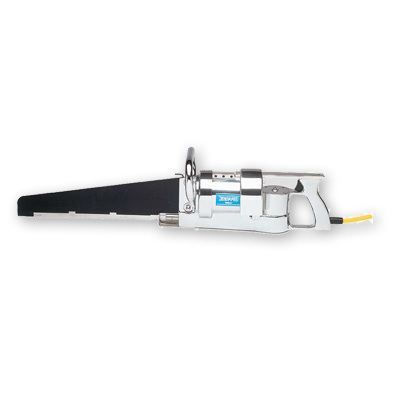 Designed for heavy duty carcass splitting, rib breaking, quarter breaking, neck cutting and shank cut-off. 6300 strokes per minute, 1.5 Stroke length. Quick Action, double pole trigger switch. Please allow 2-3 weeks delivery on this item. *220 Volts Are Available By Special Order! Please Call 1-800-776-9921 for a price quote. ** Includes: 16 HD 444 Blade, 16 HD 444 Bar Support, Jarvis Wellsaw 444 Motor.